The only Grand Slam tournament to be played on grass, Wimbledon is the favourite of many players and a highpoint of the tennis year. Held at the resplendent All England Lawn Tennis and Croquet Club in south-west London since 1877, Wimbledon now no longer relies on good weather too: Centre Court's new retractable roof - unveiled in 2009 as part of a £100m renovation - means play can continue despite those very English early July showers. Grass is traditionally a very fast surface and produces thrilling games when the world's best clash. The leafy grounds of the All England Club contain 19 tournament courts, 16 other grass courts (which serve as competitors' practice courts during the championship) as well as five red shale courts, three Continental clay courts, one American clay court, and five indoor courts. Centre Court sits 15,000 spectators, No.1 Court 11,429, No.2 Court 4,000 and No.3 Court (formerly known as 'The Graveyard of Champions') 2,000. Other landmarks include the statue of Fred Perry - the last home player to win Wimbledon back in 1936 - and the grassy Aorangi terrace (known invariably as Henman Hill, Rusedski Ridge or Murray Mount) where hoards of fans gather to watch games on the outdoor big screen each year, in the hope that Britain's winless sequence will be bought to an end. There is also the award-winning Wimbledon Lawn Tennis Museum and plenty of shops selling the tournament staples, such as glasses of Pimm's and bowls of strawberries and cream. 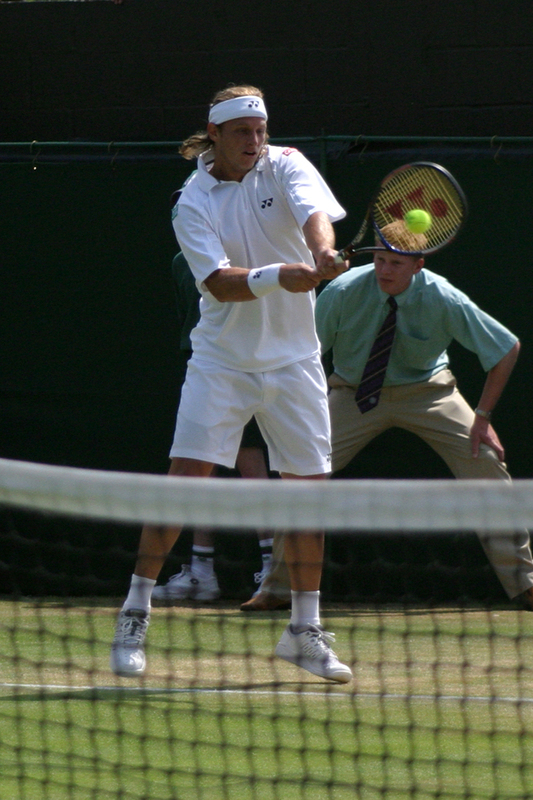 The Olympic Tennis competition for London 2012 Summer Games were also held at the All England Club. Wimbledon: The All England Lawn Tennis and Croquet Club gyms, sporting activities, health & beauty and fitness. What are the best dining options near Wimbledon: The All England Lawn Tennis and Croquet Club London? The best pubs near London Wimbledon: The All England Lawn Tennis and Croquet Club. Wimbledon: The All England Lawn Tennis and Croquet Club clubs, bars, cabaret nights, casinos and interesting nightlife. Where to have your meeting, conference, exhibition, private dining or training course near Wimbledon: The All England Lawn Tennis and Croquet Club. From cheap budget places to stay to luxury 5 star suites see our deals for Wimbledon: The All England Lawn Tennis and Croquet Club hotels, including The Lodge Hotel from 0% off.